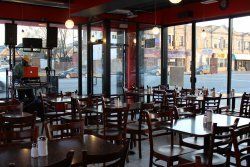 One of the greatest aspects of Chicago is its culinary scene and this week two mom and pop shops opened up dishing up savory meals for residents in the Little Village and Humboldt Park neighborhoods. 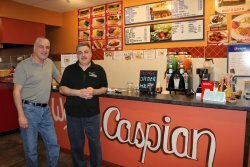 Caspian Kabab and Sandwiches, 2304 S. Kedzie Ave., opened its doors recently in the Little Village neighborhood with a Middle Eastern flare. On the menu, co-owner Jamal Davoodi, aims to showcase delicious Persian cuisine, from falafel sandwiches, to chicken kabobs, to homemade hummus, and baba ganoush. 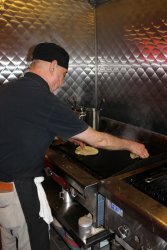 “Everything is made to order and we take pride in what we are offering to residents. 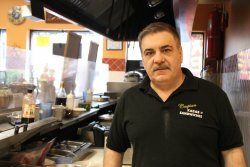 We want to be a delicious and healthy choice for residents of Little Village,” said Davoodi. 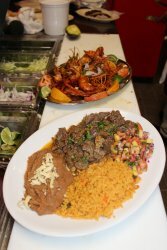 If you are in the mood to nosh on Mexican cuisine, Chema’s Restaurant is your place. 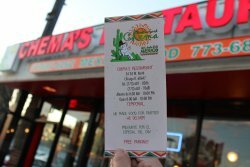 Chema’s Restaurant offers up breakfast, lunch, and dinner to residents in a setting welcoming to families and the late-night crowd. 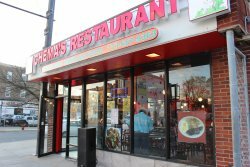 Located in the heart of Humboldt Park, 3434 W. North Avenue, Chema’s invites all to get a taste of old Mexico with their array delectable tacos and full-plated meals. 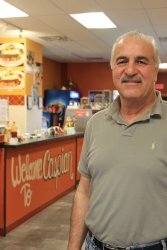 Photo Caption: Co-owner Jamal Davoodi invites all to try out Caspian Kabob and Sandwiches on 2304 S. Kedzie Avenue. Photo Caption: Co-owner Masood Rashedi makes sure all dishes are ready to be enjoyed.